Most dogs are motivated to do anything if the right food is placed in front of them. Whether you’re trying to train your dog or you just want to treat them for doing a good job on the walk, we’ve got the treats for you. 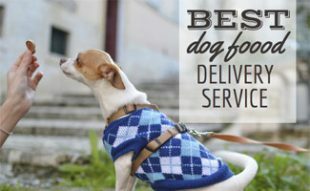 We’ve selected the best treats for various types of dogs based on size, age, health factors and more. 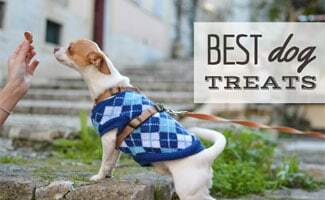 Below are our top rated dog treats, so your dog can snack on the best treat for them. This pack of Everlasting Treats includes 2 treats that can be given on their own or with a StarMark’s ball. The treats can be given to your dog for short periods of time until they finish it. Since many large dogs can be aggressive chewers, we thought this Everlasting Treat was a great option. As a bonus, this treat has raised dental ridges to help clean your dog’s teeth. The treat should last your dog hours of chewing and they’re pretty inexpensive. These treats are available in chicken, liver, vanilla mint and barbeque flavors. Wheat gluten, gelatin, water, glycerine, natural chicken flavoring, corn gluten meal, garlic powder, brewer’s dried yeast, lecithin, sodium diacetate, carrageenan and titanium dioxide. Milk-Bone is one of the most popular dog treat brands and it’s widely known. 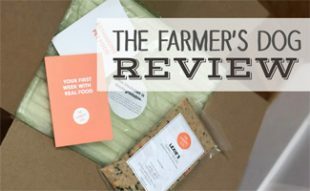 This snack comes in large 7-pound boxes that can last you weeks or even months. They’re available in bacon, beef, chicken, sausage, turkey and peanut butter flavors. The crunchy texture helps remove plaque and tartar buildup as well as freshen the dog’s breath. These American-made dog treats are a hit with many different dog breeds. If you are looking for a natural, dye-free product, skip ahead to this one. Wheat Flour, Wheat Bran, Meat and Bone Meal, Poultry By-Product Meal, Beef Fat (Preserved with Tocopherols), Wheat Germ, Salt, Turkey Meal, Chicken Meal, Dicalcium Phosphate, Bacon Fat, Brewers Dried Yeast, Titanium Dioxide (Color), Malted Barley Flour, Choline Chloride, Minerals (Ferrous Sulfate, Zinc Oxide, Manganous Oxide, Copper Sulfate, Calcium Iodate, Sodium Selenite), Vitamins (Vitamin E Supplement, Vitamin A Supplement, Niacin Supplement, D-Calcium Pantothenate, Riboflavin Supplement, Pyridoxine Hydrochloride, Vitamin D3 Supplement, Folic Acid, Biotin, Vitamin B12 Supplement), Sodium Metabisulfite (Used as a Preservative), Iron Oxide (Color), Artificial Flavor (Source of Sausage Flavor), Red 40, BHA (Used as a Preservative), Yellow 6, Yellow 5, Blue 1. Unfortunately, many older dogs have a few teeth missing, which can make eating treats a challenge. Fortunately, your senior dog can enjoy these Soft Savories from Hill’s. These American made dog treats have a 100% money-back guarantee. They feature no corn, artificial colors, flavors or preservatives. Beef is the #1 ingredient and your dog is sure to enjoy these soft dog treats. Beef, Potatoes, Wheat Flour, Cane Molasses, Glycerin, Chicken Fat, Cheddar Cheese, Peas, Technical Pork Gelatin, Natural Flavors, Dried Skim Milk, Citric Acid, Lactic Acid, Mixed Tocopherols for freshness. Old Mother Hubbard treats are made in Canada and contain no artificial preservatives. These puppy-formulated treats include specific vitamins and minerals needed for growing pups. These all-natural treats are great for puppies to use during the training process too. The Nutro Natural Choice Health Benefit Dog Treats help strengthen your dog’s digestive health. The dog biscuits are made with whole grains and pumpkin, which is a natural antioxidant. The coconut fibers help strengthen the intestinal tract and there are no artificial colors, flavors or preservatives. 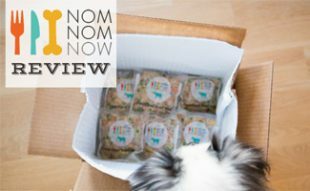 These are one of the healthiest dog treats we reviewed, if you are looking for a natural option. Chicken, Whole Brown Rice, Whole Wheat, Oatmeal, Pumpkin Puree, Flaxseed, Coconut Meal (Source of Coconut Fiber), Dried Chicory Pulp, Natural Flavors, Preserved With Mixed Tocopherols. If your dog is trying to lose a few pounds, these Good’n’Fun Kabobs are low in calories. The rawhides are wrapped with premium cuts of real meat. Your dog will be snacking for a long time enjoying the chicken, duck and liver. These treats have 54 ME (Metabolism Energy) kcal/treat, which may sound like a higher calorie treat, but we selected it because all the other “low cal” treats are tiny and don’t last long. For example, Zuke’s Mini Naturals has less than 3 calories per treat but you’d have to give your dog a lot to last as long as this rawhide. Warning: Be sure to read our Rawhide Warnings before you select this option. Rawhide, pork hide, chicken, chicken liver, duck, vegetable glycerin, wheat flour, garlic powder, FD&C Red #40, FD&C Yellow #6, FD&C Blue #1. These Fruitables Baked Treats are some of the best natural dog treats. The baked biscuits have a crunchy texture and work great for training or just simply treating your dog. As a bonus, these American-made dog treats are also lower in calories (fewer than 9 calories in each), so if you want another low-cal option this one’s great. Pumpkin, organic oatmeal, pearled barley, potatoes, oat fiber, canola oil, brown sugar, bananas, cinnamon, natural flavor, vanilla, mixed tocopherols. If you’re looking for our top picks for specific dental or training treats or maybe even recipes for a homemade snack, take a look at the links listed below. This is probably one of the greatest videos on the internet. This dog goes shopping for his own dog treats, puts them in the basket himself, pays the cashier and even gets a little treat for his bow at the end. It’s absolutely precious. In the end, the safest and worst dog treats will come down to the ingredients used to make the treats. Obviously, you’ll want to take into consideration any allergies or intolerances your dog may have and avoid those ingredients in their treats. Purchasing dog treats with known ingredients is going to be a safer option in the end. However, treats without preservatives, artificial flavors and colors can mean a higher cost. 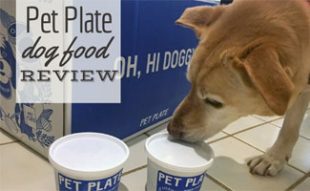 Ultimately, it’s up to you to decide what is safest for your dog to ingest. Another option for dog treats on the go is Granola Barks. We tested Granola Barks and our dogs gave them 2 paws up. Granola Barks are healthy, certified organic treats that come in a few different flavors. Great recommendations Kimberly thanks! What do you think of Barkworthies? Are they any good? Hi Robin, I haven’t researched Barkworthies, so I can’t share any specific thoughts on them. Sorry! Perhaps it will be in an updated version of this article in the future though!